Congratulations Steve on the installation of your all integrated lithium ion battery storage solar power system. The system contains 5.5kW of monocrystalline ‘all black’ solar panels with an all integrated 15kWh Li-ion battery energy management system. 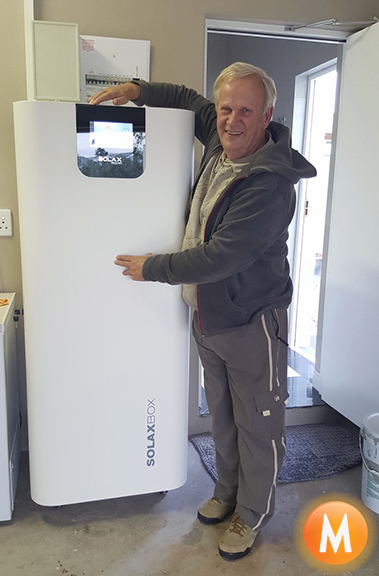 This will enable Steved and his family to live virtually off the grid during the 300 days a year of sunshine at Val de Vie while providing power security in the event of a power failure or load shedding. 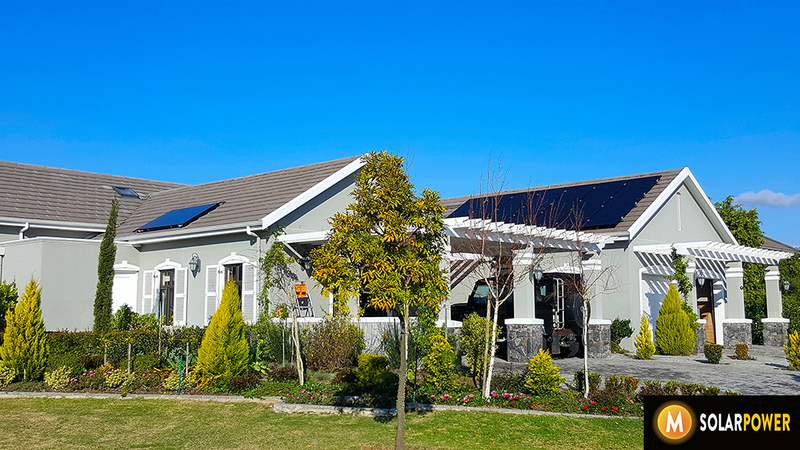 During the long days of summer, any excess solar power that is not either consumed by their home or stored in batteries for later use is fed into the grid and ‘banked’ with Drakenstein Municipality. The electricity credits can then be used by him for use during the shorter rainy days of winter. We wish Steve and his family many happy years of being empowered by the sun!